If you bought an Amazon Echo – or even if you heard about it from Alec Baldwin’s commercials – you probably know that this device answers when you address it by name. Alexa, what’s the weather like? Alexa, play some workout music. Alexa, order more paper towels. That’s all it takes to get the gadget’s attention. But that’s not the case of the Amazon Tap, the new device that doesn’t answer, no matter what you call it. Retailed at $129.99, the Amazon Tap is simply a portable Bluetooth speaker that reacts only when you tap a button on it. 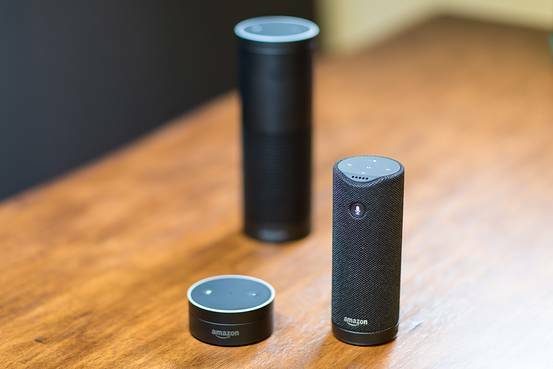 Despite the fact that you don’t even have to say “Alexa” before you speak, the Tap still connected to all of Amazon’s Alexa Voice Services, so it allows you to play music, set timers, order detergent, or dim the lights – but only after you pressed the microphone button. The black cylinder that is the Amazon Tap is about the height of a large glass of water, somewhat shorter than the UE Boom 2 and significantly smaller than the Amazon Echo. One of the advantages of the Tap is the fact that comes with a charging cradle, which spares you the hassle of having to untangle a charging cable when the device is on low battery. According to Amazon, the Tap’s juice lasts for about nine hours of music playback, and it sleeps when it’s not being used. But is the Tap worth your while? The Dolby-powered, omnidirectional speakers of the new is mediocre, at best, and you can’t pair it with another source to make it better. Unlike the UE Boom 2, the Tap is also not waterproof. But probably having to press a button to get Alexa to listen to you is probably the most frustrating feature of Amazon’s Tap. Users have already started wondering why the Tap doesn’t automatically switch into listening mode when docked in its cradle. Tap is supposed to be easier to carry around, unlike Amazon Echo, which is anchored in one spot. But do we really need yet another device in our pocket that we need to tap on? A big factor of the smooth Alexa experience comes from never having to use your hands to do anything, and Amazon’s Tap definitely takes some of that magic away. If you’re thinking of buying the Amazon Tap in hopes of getting a cheaper Echo, you’re in for a surprise. There’s nothing magical about being forced to walk up to the device and press a button if you want it to answer to Alexa-related questions.